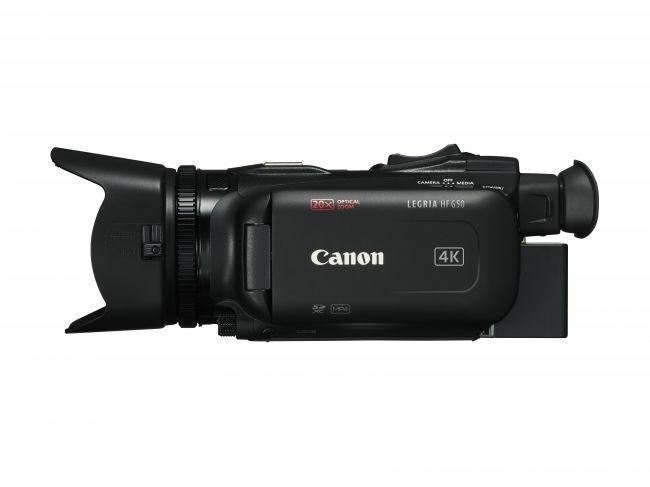 Canon is starting off the NAB 2019 on a great note with the announcement of some new camcorders. The company has just rolled out an impressive new generation of affordable consumer camcorders with 4K resolution video shooting capability. The launch takes place at NAB 2019 which is the broadcast industry’s main trade show. Canon is not only announcing four new 30MP XA 4K camcorders. 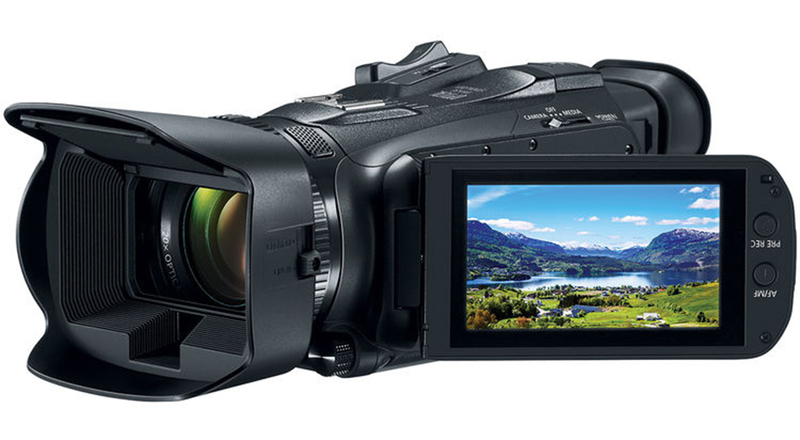 Users can expect two new 4K G-Series camcorders as well. The company is expanding its camcorder LEGRIA range with the announcement of two new 4K models – the Legria HF G50 and HF G60. The HF G60 is the more advanced model which comes with 4K UHD and Dual Pixel CMOS AF. Canon’s new flagship consumer model comes with interesting features as well as a special nomenclature. It is referred by those in North America as the Vixia HF G60. But to those in Europe, it is the Legria HF G60. 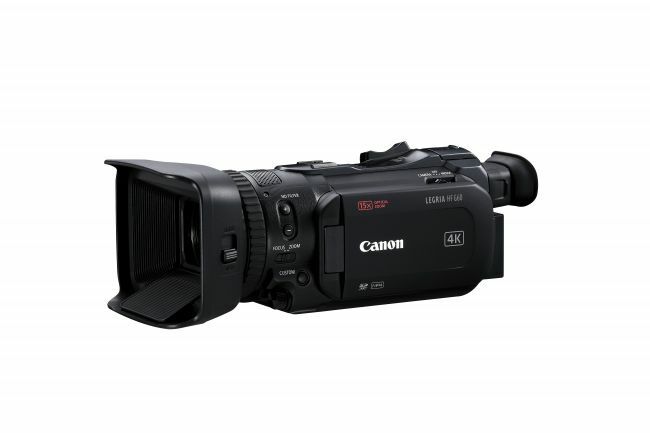 With this new generation of all-in-one video cameras, Canon consumer camcorders will take a huge shift from HD to 4K. The G50’s smaller 1/2.3-inch 4K sensor with longer 20x f/1.8-2.8 zoom range and eight-bladed iris differentiates it from the G60. It also lacks the Dual Pixel CMOS AF system on the G60. Although its equivalent Canon Vixia HF G50 was unveiled at CES back in January for the American market, the Legria HF G50 will now be available for Europe along with the Legria / Vixia HF G60. The Vixia HF G50 has an effective focal length of 29.3 to 627mm and 20x Optical Zoom capability in 4K. With the VIXIA HF G50 running on the power of a DIGIC DV 6 Image Processor, you can record up to UHD 4K 30mp Video. It features an 8-Blade Circular Aperture and 5-Axis Image Stabilization with the option of recording in slow-motion, fast-motion, or at intervals. It comes equipped with dual SD card slots, a 3-inch touchscreen LCD, and a tiltable eye-level viewfinder. The Vixia HF G60 features a large 1-inch CMOS Image Sensor capable of recording UHD 4K 30MP Video. It has an in-built 15x optical zoom with the possibility of getting a focal range of up to 300x using a digital zoom function. The HF G60 has a minimum focusing distance of 10mm at its wider zoom end with a maximum aperture of f/2.8-4.5. It has an effective focal length of 25.5-382.5mm and 5-Axis Image Stabilization. The CMOS 13.4MP image sensor features Dual Pixel autofocus which is enables high-speed focus tracking when recording video. The camcorder measures 125 x 91 x 265mm and weighs in at 1135g. Canon G60 has a 9-blade-circular-diaphragm lens designed for consistent out-of-focus bokeh and an optical stabilizer built in. It runs on the same DIGIC DV 6 Image Processor with slow-motion, fast-motion, and interval recording options. Just like the HF G50, it comes equipped with a 3-inch 460-dot vari-angle touchscreen LCD, a 0.24-inch 1.56m-dot tilt-enabled EVF, and double SDXC card slots. The unit comes with HDMI, headphone, microphone and USB ports. Sales will commence in April with the G50 coming at around $1,099. The Legria/Vixia HF G60 will come at $1,699.